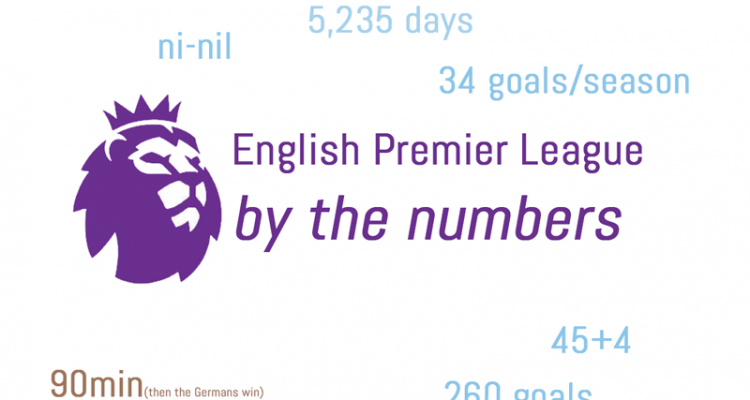 EPL by the Numbers 2018-19 #23. Click for more. Week 30 of the Premier League season saw a serious shakeup below the top two spots, with Tottenham losing for the third time in their last four league matches, 2-1 to Southampton, Chelsea needing a 92nd minute goal from Eden Hazard just to earn a home point against Wolves and Arsenal beating United 2-0 at the Emirates to jump them into fourth, only one point behind Tottenham (and they would be above them but for that missed call a week ago). Liverpool and City both took care of business, City by cruising past Watford 3-1 and Liverpool by waking up their slumbering offense in a 4-2 victory over Burnley. At the other end of the table, Cardiff City won for the third time in their last six, 2-0 over West Ham, though it was not enough to move out of 18th as Southampton, who were in the drop zone at halftime, came back from a goal down to beat the Spurs. Cardiff did close the deficit to Burnley and the Saints to 2 points. Brighton also won, 2-1 over Crystal Palace, leaving both sides five points above the drop, with Newcastle coming back to beat Everton from 2-0 down to hit 34 points for the season and put six points between themselves and the relegation zone. And the two bottom sides lost again, Huddersfield 2-0 to Bournemouth and Fulham 3-1 at Leicester with no miracle recovery seeming possible for either. And Leicester’s victory did move them back into the top 10. The Champions League brought us a couple of huge second leg surprises Tuesday and Wednesday, with PSG again ceding a seemingly unassailable first leg lead (2-0 on the road) and then Real blowing their own first leg lead in a home 4-1 destruction by Ajax, to be unceremoniously dumped from the tournament they have won three times in a row and four of the past five seasons. Tottenham, on the other hand, held their home lead on the road and won the tie 4-0 in aggregate over a Dortmund side that is on a dramatic slide of late while Porto eliminated another semifinalist from last season in Roma (3-1 and 4-3 in aggregate). In the Europa League, most of the first leg matches in the Round of 16 went to form, with Chelsea beating Dynamo Kiev 3-0, Napoli victorious over Salzburg by the same score, Valencia slipping by FK Krasnodar 2-1 and Villarreal winning 3-1 at Zenit St. Petersburg. However, there were a few surprises, with Milan unable to break down Eintracht Frankfurt in a 0-0 draw, Sevilla unable to win at home against Slavia Prague (2-2), Dinamo Zagreb beating Benfica 1-0 and, ugh, Arsenal somehow losing 3-1 at Rennes and putting the tournament many thought they had a good chance to win in serious jeopardy. A 2-0 home win is certainly possible for the Gunners, but seems less likely with the leaky defense they’ve had most of this season, bar their clean sheet Sunday. Around Europe, Bayern Munich jumped Dortmund into first in the Bundesliga, on goal difference, after their big 6-0 win over Wolfsburg trumped Dortmund’s 3-1 victory over Stuttgart. With 11 matches to go, the two sides are separated by a measly two goals and if Dortmund can get back to winning ways, it could be a fascinating race to the finish line. In Spain, Atlético Madrid kept pace with Barça, winning 1-0 over Leganes while Barça cruised past Rayo Vallecano 3-1 – though that seven-point lead with 11 matches to play seems relatively safe. Real bounced back from their recent slump to stay 12 behind the leaders, while Getafe won 2-1 over SD Huesca to solidify their surprise position in fourth (now by four points). Juventus extended their lead in Serie A to an astounding 18 points, after Napoli could only salvage a late draw, while Milan jumped Inter into third place by a point. And in, yawn, Ligue Un, PSG has a 14-point lead with two games in hand, including a trip to Dijon Tuesday. 1 – Chelsea had only lost one of their last 53 home matches against promoted sides, but found themselves three minutes from adding a second when Hazard cut in from the left just outside the box and scored an equalizer to give them a point in a 1-1 draw with Wolves. That was, however, their second draw against a newly promoted sides in their last four – the other obviously coming on the road. Hazard’s stoppage time goal was tucked spectacularly into the right corner with pop to earn Chelsea a valuable point in the push to get back into the Top 4. 2 of 4 – Tottenham have lost two of the last four matches they led at half-time, after only one in their previous 51 under Pochettino. They also lost their third consecutive road match for only the second time under their still-in-demand manager. While they were long shot hopes at a title a few weeks ago, they must now get back on track quickly, with Arsenal a point behind, United 3 and Chelsea 4 (with a game in hand). 3 – Lukaku has come into form along with so many others of late at United, as he scored his third straight brace as United pulled off an unlikely road comeback to send PSG packing from the Champions League early yet again. The streak ended Sunday against Arsenal, though an early effort did hit the woodwork. The only question is when he can next actually complete a hat trick. 5 – Newcastle rebounded from a 2-0 deficit to beat Everton 3-2 and win their fifth straight at St. James Park. The team have been strong at home in the run-in the past three seasons, just missing a late season save his first months in charge, pushing them over the line to promotion last season and probably allowing them to stay up this term with one of the two or three worst squads in the league. It is one of Benitez’s finest achievements, besides THAT Champions League comeback in Istanbul and being the only manager in history to win the Europa League, Super Cup, Champions League and FIFA Club World Cup. The Toons celebrated after Ayoze Perez completed the comeback, minutes after scoring the equalizer, to move them a step closer to another season in the top flight. 6 – Liverpool finally righted a ship that has been sinking since the calendar turned to 2019, with Mane again on the scoresheet for the sixth home match in a row. Salah has not scored as much of late and Firmino just returned to scoring after a stint on the sideline and without many goals and it could be Mane who is the key to any hope the Reds have of returning to the summit before the final bell on the season tolls. 10 – Wolves have the most points against the Top 6 among teams outside the Top 6, with 10 in 9 matches, including the, possibly disappointing since they had the 1-0 lead going into the 92nd minute, point at Stamford Bridge Sunday. West Ham is second best among “the rest,” though they have only garnered 7 in 9. 10 – Dušan Tadić, previously of Southampton, was only the ninth player ever to receive a 10 of 10 rating from L’Equipe, as he helped Ajax stun Real in the Bernenbau 4-1 – contributing a goal and two assists to the effort. Real did bounce back in the league Sunday with a 4-1 win at Valladolid, but it is too little too late to save this disaster of a season. They moved on to their third manager of the season Monday, with Zidane returning after only 9 months away. Tadić was sublime as Real Madrid’s stranglehold on the Champions League came to an end. 10 – Wins for Man City in their last 11 league matches, including their last 6, having already won the first silverware on offer this season, with a chance to add three more trophies before it’s all done. 10 – Ryan Fraser of Bournemouth is quietly having a great season, having already doled out 10 assists. Only Lionel Messi and Eden Hazard, with 11 apiece, have more in the top 5 leagues in Europe. He added a goal Saturday as the Cherries won 2-0 at Huddersfield. Fraser has helped Bournemouth to 12th place in the league, even on points with Everton and only 3 from the magic 40 that always means staying in the league. 10 – Mauricio Pochettino might have been sending an invitation to Real Madrid to take a shot at signing him again a couple of weeks ago, claiming the Spurs might have to wait 10 years to win a title. It was an odd thing to say while Tottenham were still within shouting distance of first place. Since that proclamation, Spurs got a lucky point against Arsenal, beat Dortmund 1-0 to progress in the Champions League and lost to Southampton after holding a 1-0 lead. So could Tottenham win the UCL to finally end their trophy drought? Not sure the manager who is starting to sound like Wenger with his “Top 4 is a trophy” argument is the man to get it done any longer. 12 – Returning to the points against the Big 6 topic, Arsenal have a respectable 12 in their 10 matches against the rest of the bunch this season, doing particularly well in 2019 with 2-0 victories over Chelsea and United and a questionable 1-1 draw with Tottenham that I might have mentioned last week should have been a win. Wenger only managed 6 points in 10 his last season in charge! The good news for the Gunners is they are done playing those teams and could thus have an end of season run that gets them back into the Champions League the old fashion way. 15 – Mikaela Shiffrin just keeps winning titles and setting records. On Saturday, she won her 15th world cup event of the season and became the first skier ever — man or woman — to win that many world cup races in one season. She went into the weekend of racing at Spindleruv Mlyn, Czech Republic, tied with Switzerland’s Vreni Schneider, who won 14 in the 1988-89 season. Shiffrin has already won the overall crystal globe for the fourth straight time, the slalom crystal globe several weeks ago and has a chance to add the giant slalom, where she leads by 97 points, and the super G next weekend. At 25, one wonders how many records she’ll break before she finally calls it quits. 18 – Sergio Agüero still leads the league in goals this season, with 18, but three are hot on his tail with 17, including Salah, Harry Kane and Aubameyang, who scored from the spot late to help Arsenal seal their 2-0 victory over United. Aubameyang missed a penalty last weekend that would have given the Gunners all three points, but made up for that to some extent with the successful conversation Sunday. 29 – Thomas Muller has had a tough couple of years, with his German side knocked out in the Group Stage of the World Cup for the first time ever and his scoring output dramatically diminished for club and country, but things went from bad to worse as he was officially retired from the National team by manager Low last week. Pretty harsh for a guy that won the Golden Boot at the World Cup, seven league title in a row, a Champions League and is still only 29. But if Low wants to save himself from the national humiliation of last summer, he certainly needs some sacrificial lambs and Muller (and Hummels) are the latest. 30 – Both Kyrie Irving and LeBron scored 30 points Saturday, but the Celtics were able to easily defeat the injury-ravaged Lakers 120-106. It was only the third win for Irving over a LeBron side in 11 tries since his departure from the Cavs before last season. Rashford’s penalty flies by Buffon to continue his heartbreak in the only competition of note he has yet to win. 39 – Crystal Palace has the lowest percentage of their points coming at home of any side in the top flight, at 39 percent. They have won only 1 of their last 7 at Selhurst Park and are only five points from the bottom three, with eight to go. 48 – Sergio Agüero and Raheem Sterling have contributed 24 goals each so far this season. Aguero has 18 goals and 6 assists, while Sterling has 15 goals and 9 assists. The only other player that has contributed that many is Eden Hazard with 13 goals and 11 assists. Could that be why Real are interested in the Belgian? 52 – Liverpool better hope Raheem Sterling slows down his scoring output in the final 8 matches of the season, as City have yet to lose any of the 52 games in which he has scored at least one goal. Sterling scored a hat trick in City’s win Saturday. 58 – We will have to see if his incredible scoring continues into the post-season to contradict a growing part of the narrative of his otherwise stellar career, but Harden is having a season to remember, with his sixth game of scoring at least 50 points this season (no one else has even one). He now has 15 in total, with only Wilt Chamberlain, Michael Jordan, Kobe Bryant and Elgin Baylor having scored 50 points more often in NBA history. 100 – James Vardy scored his 100th goal as Leicester beat Fulham Saturday. He was assisted by James Maddison, who has provided for Vardy on three of his past four assists. The duo could be key for Brendan Rodgers as he tries to push them up the table to start his tenure. 100 – Brighton has been slumping seriously of late, going from mid table to a relegation scrap in a couple of months, but they added their own centurion Saturday, as Glen Murray hit the opener in a 2-1 victory over Crystal Palace. 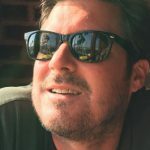 239 – You remember Jason Witten, arguably the worst Monday Night Football announcer in history (though one could certainly make a compelling case for Dennis Miller)? Well, he is returning to the Cowboys next season to add to his record 239 games played. Witten has also played in 11 Pro Bowls during his 15 years with the Cowboys, becoming the franchise leader with 1,152 receptions, which ranks fourth in NFL history, and 12,448 receiving yards. He also holds franchise records consecutive games (236), starts (229) and consecutive starts (179). Life – And finally to the jackasses all across the globe who storm fields and pitches for no discernible reason but to get arrested and miss the rest of the game. Well, Paul Mitchell of Birmingham City took it to a new low by actually punching a visiting player, Jack Grealish of Aston Villa, from behind. The 27-year-old fan, who is expecting his second child soon, was banned for life and faces a court date today while Grealish left the incident relatively unscathed and went on to score the winning goal! Was it worth it, Paul? No Comments on "EPL by the Numbers 2018-19: Match Week 30, Arsenal back in top 4; City still top"